My mom planted a lot of geraniums. I was never a fan. I didn’t like how they smelled and you couldn’t really use them in a cut flower arrangement. The California building, home of my art studio, has stairwells and hallways full of geraniums and now I associate the smell of them with getting to spend the day making art. Plus they are such a pretty contrast to the days of harsh white snow and perpetually grey skies. 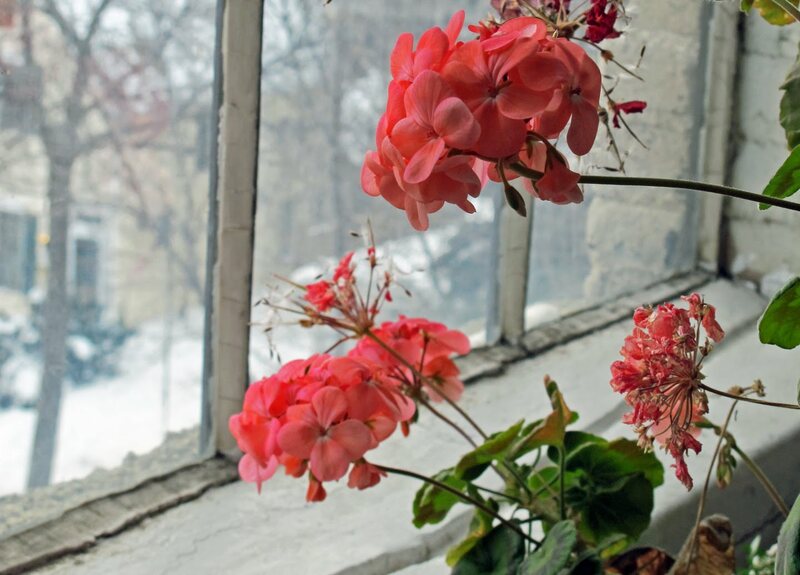 My mind has been changed on geraniums. 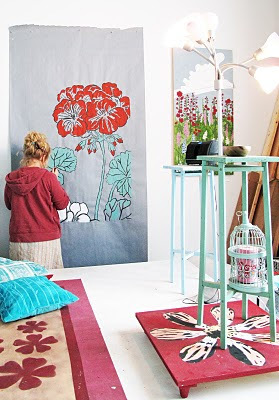 My new (well, it still feels new to me even at 7 months in) studio is so conducive to painting big and so in honor of my new studio home I am painting giant geraniums. When completed this painting will be part of Get Lucky at The Soo Visual Arts Center in late January. See their site for more information.